The upcoming Maruti Suzuki Dzire Tour S CNG is based on the LXI model of second-generation Dzire subcompact sedan like the standard Tour S.
It was just early this month when we told you that Maruti Suzuki will be introducing the new 2018 Dzire Tour S with a factory-fitted CNG kit. 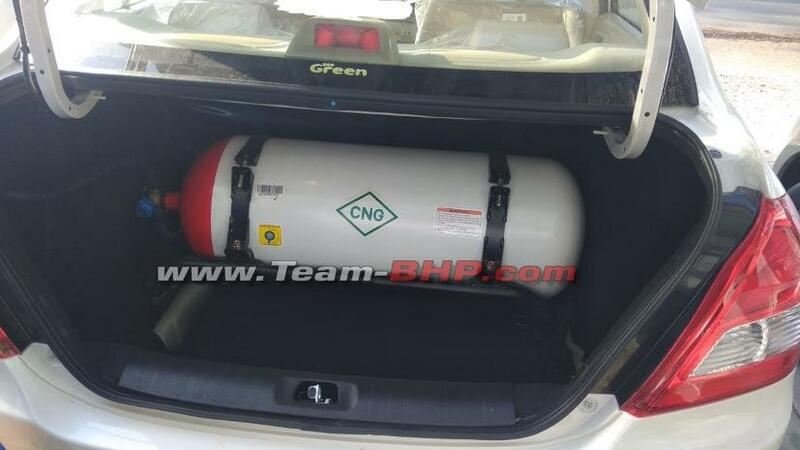 Now, less than a week later, images of its interior have surfaced online and we get to see a bunch of updates specific to the CNG model. 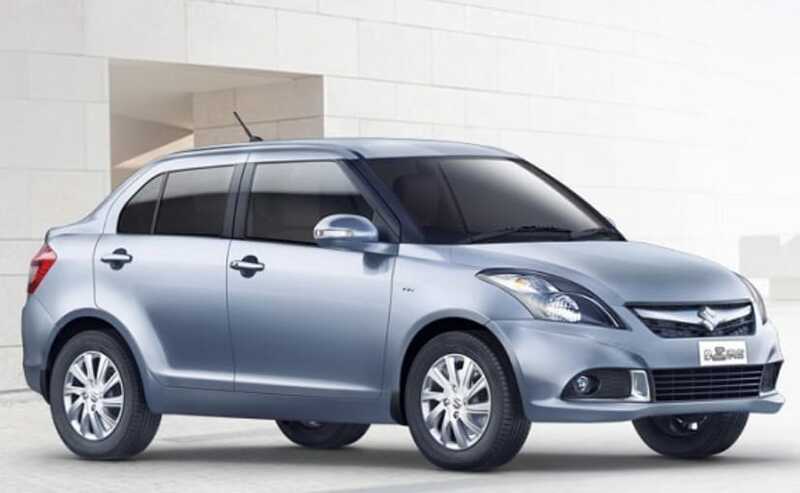 The current Tour S model, which is specially offered for the taxi services, is based on the second-generation Dzire subcompact sedan. Now, the car will get a factory-fitted CNG kit and according to some previously leaked documents, the car will be priced at ₹ 5.97 lakh (ex-showroom, Delhi). The interior remains unchanged, offering the same beige and black dual tone colour option with a basic dashboard layout, equipped with an analogue instrument cluster, air-con vents, manual climate control and manually adjustable ORVMs. There are separate gauges for petrol and CNG tanks, while the temperature gauge has been omitted. The steering gets no controls but and there is no much system either, as it's usually is with fleet-oriented cars. Considering the car will be based on the based model LXI trim the feature list will include, front power windows, power steering, dual front airbags as standard. 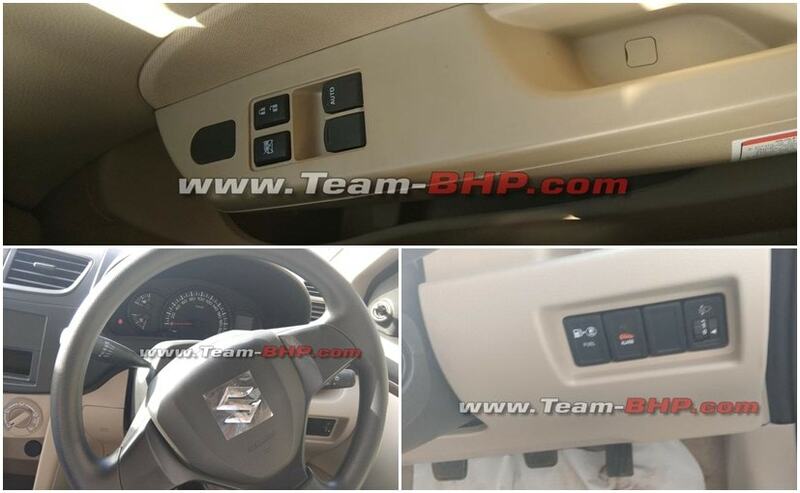 The button to switch between CNG and petrol mode is placed beside the steering column. Like all CNG cars out there, the new Maruti Suzuki Dzire Tour S CNG will have to sacrifice a considerable portion of its boot to accommodate the CNG tank. While we do not see it in these images, it's said that the CNG tank filler is placed beside the petrol filler along with a metal plaque will all the details about the CNG tank and the car for RTO use. We also see a 'Green' badging on the rear windshield, and the car will also get the Tour S badging on boot-lid like the standard model. Under the hood, the car will get the existing 1.2-litre 4-cylinder petrol engine, which has now been tuned to also run on compress natural gas a.k.a. CNG besides petrol. When driven in petrol mode, the power output remains unchanged at 83 bhp at 6000 rpm, while in CNG mode it drops down to about 70 bhp at the same 6000 rpm. The engine comes mated to a 5-speed manual gearbox as standard and the car's top-speed is likely to be electronically limited to 80 kmph, as mandated by the transport department.